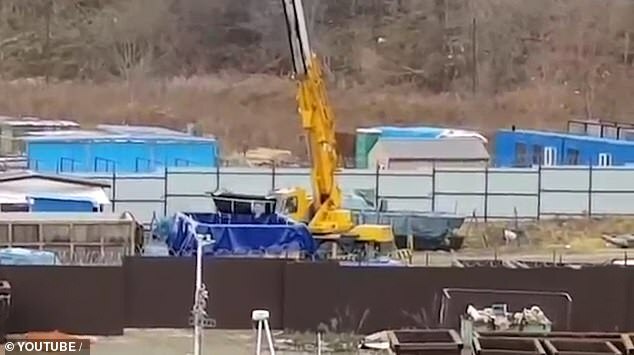 Russia has announced plans to ban controversial ‘whale jails’ after footage emerged of over 100 rare species crammed into enclosures earlier this month. The Russian government’s environment agency, Rosprirodnadzor, said in a report published on Thursday that the catching of killer whales and belugas will be halted from 2019 onwards. 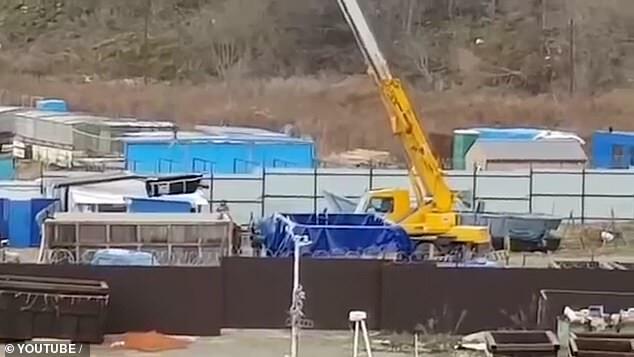 Earlier this month, footage emerged showing a crane lifting one of the mammals out of a tank at a fenced off facility near the city of Nakhodka – on Russia’s Pacific Coast and not far from the Chinese border. Prosecutors are probing whether 11 killer whales – which could sell for £4.6 million or more each – and 90 belugas are being held illegally in the temporary enclosures. Local activists claim they are being sold to Chinese aquariums. According to the independent newspaper Novaya Gazeta, some of the animals have been at the compound since July while local media claim the footage suggests preparations were being made for sending them to another destination. Novaya Gazeta’s report said four companies renting enclosures at the facility exported as many as 13 orcas across the nearby boarder to China between 2013 and 2016. ‘The scale of what is happening here is shocking,’ said campaigning journalist Masha Netrebenko. From the air ‘we saw that there are loads of white (Beluga) whales in enclosures built in the water. ‘The helicopter couldn’t go very low – because when it was less than 100 metres above the ground, it was entirely loosing control. ‘Apparently these businessmen are so prepared that they even installed jammers. Netrebenko claimed that nearby there is also a facility trading in seals. The four companies reportedly involved in the ‘whale jail’ had permission to catch 13 orcas this year. But prosecutors in Vladivostok believe this was based on catching the animals for conservation or educational purposes. Checks are also underway on the legality of the tanks where the whales – many of them infants – are held. Capturing such young whales is banned. Investigative newspaper Novaya Gazeta alleged this is the largest number of sea creatures ever to be held in such small temporary enclosures. This summer the Russian prosector general’s office called on the Interior Ministry to launch a fraud probe on the capture and sale to China of seven orca whales between 2012-15. There are also claims of a scam by which whales are loaned rather than sold to evade tough environmental laws. Greenpeace Russia described the conditions shown as ‘torture’. There is high security around the ‘whale jail’. One photographer Nina Zyryanova said she had her camera taken and its memory card stolen on Saturday as she investigated the site. 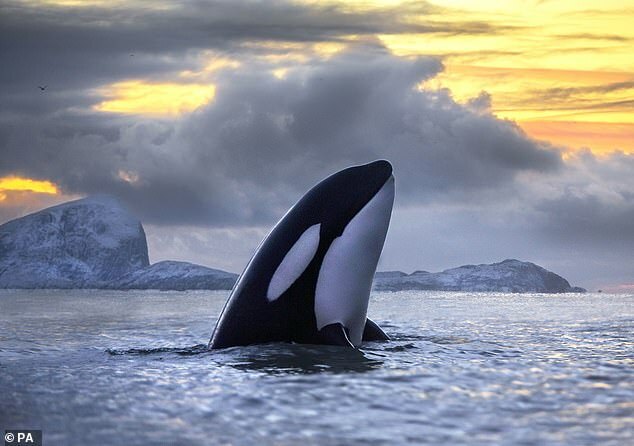 Netrebenko said: ‘I have seen orcas, white whales and whales in the ocean …many times ….and can be confident that only the ocean can be their home, not these tiny enclosures where intelligent creatures are stuffed like fish in a tin. ‘I don’t know who you need to be to put them here and …. to allow trading them as soulless pieces of meat’. She claimed the trade was for ‘big money’ and is a ‘profitable business tied to people particularly close [to the Kremlin]’. However exact links to high places in Russia are unclear. She said orcas are ‘the only living creatures apart from humans’ with such strong family instincts. Keeping them in oceanariums is cruel, she said.